A self-made man in the publishing industry, Mike Koedinger built Luxembourg’s first independent media company in a period of less than 20 years. Distinguished by dozens of international awards, Maison Moderne recently became the first Luxembourg member of FIPP - the international network for global media - which represents more than 500 companies and more than 5,000 media brands in more than 60 countries. In the mid-80s, when Mike Koedinger was just 15 years of age, he was yet to decide whether he wanted to be a journalist or a hairdresser, though he was already starting to get a taste for the media and publishing fields, as demonstrated by the fanzine that he produced for secondary school pupils in his area. 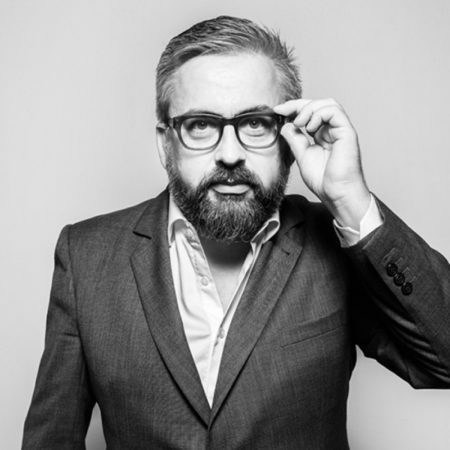 And whilst he also put on his first fashion shows featuring international designers a few years later, it was in the world of publishing, in the broader sense, that he would set up what would become Luxembourg’s leading independent media company just two decades later. His first ‘national’ publication was Explorator – a ‘trendy’ annual guide launched with the media support of RTL and its advertising sales division IPL. It was officially released in October 1994 and marked the start of what would become something of an editorial binge resulting in the birth of various titles that would go on to leave their mark on Luxembourg’s media landscape in the space of a few years. Its very quickly tried and tested recipe showcased the complementary nature of its print, digital (constantly evolving websites) and event formats (incorporating various presentations, round tables and networking cocktail receptions). The publisher built its reputation based on the Nightlife.lu guide (December 1996), the business-oriented New Media Guide (October 1997, later becoming the Paperjam Guide), trend magazine Nico (September 2002) and most importantly, in the meantime, economic and financial magazine Paperjam (June 2000) – the group’s flagship publication, even though it was still only employing around fifteen or so people in 2004. 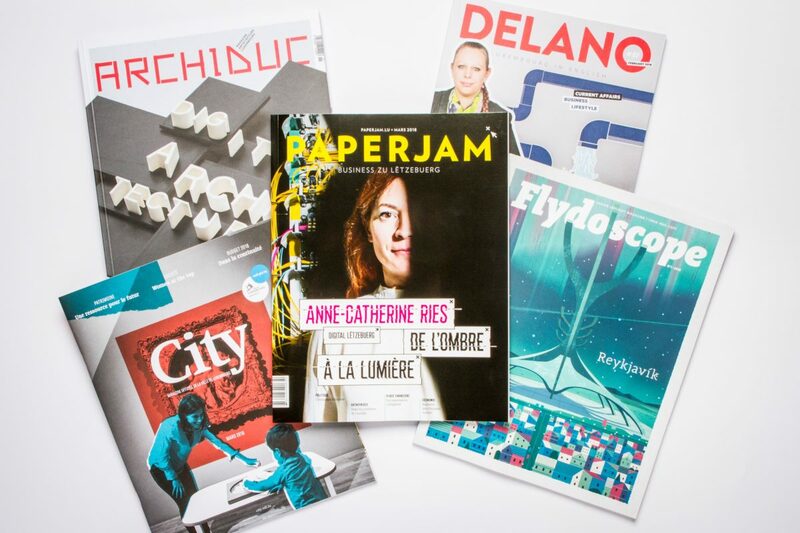 In 2005 the company started publishing on behalf of third-party clients, with two publications that still feature highly on its list of products, namely Flydoscope (the onboard magazine of airline Luxair) and City (the official magazine of the City of Luxembourg). Despite this, the company continued to develop its in-house services and publications with the creation, in 2008, of the Paperjam Business Club, which has since become the country’s largest business club (with over 900 members in 2017) and the launch of two new titles in 2011, these being Archiduc (a bi-annual publication devoted to architecture) and Delano (a monthly aimed at the English-speaking community). December 2010 marked a major turning point in the company’s history when publishing house MKE, advertising sales division Tempo! and graphics studio Ingrid (founded in 2003 and 2007 respectively, both as part of a 50% joint venture with MKE) merged to create Maison Moderne, which still had only fifty or so employees at the time. The company, whose entire capital was held internally in a strong indication of its independence, then strengthened its management team with the appointment of a professional board of directors that included two independent administrators in 2013. Maison Moderne had around 70 employees by now, crossing the symbolic threshold of 100 employees, a third of which worked within the ‘Agency’ department alone, in 2017, making it one of the country’s largest communications agencies. In spring 2017, the company’s founder and long-standing CEO Mike Koedinger announced that he was standing down to become Chairman of the Board of Directors and focus primarily on developing Maison Moderne’s operations at international level. Richard Karacian, who had, until that point, served as Managing Director of French daily Libération, replaced him as CEO in September 2017. His mission is being to continue to ensure that the company continued to grow almost continuously and that Maison Moderne’s publications continued to meet the same levels of excellence that had won it over 50 international awards and honours in the fields of publishing, editorial design, B2B communication and content marketing in the space of just a few years.